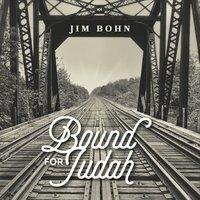 Jim Bohn’s Bound for Judah begins with All the Broken Pieces (Will Be Put Back Together Again), a track which immediately kicks things into high gear. Strong horns, female vocals, and sizzling guitars set the stage for the tracks that are to follow. Kept on the edges of their seats with these instrumental inclusion, fans will eagerly devour Bohn’s vocals. Because I Knew That You Loved Me (feat. Tracy Hannemann) is stripped down, blending together a raw and emotive acoustic set of vocals. Hints of Dusty Springfield and Karen Carpenter can be heard throughout. Who’s Gonna Pay for What You’ve Done blends together 1980s radio rock with hints of country performers from around the same time. I Can’t Remember Memphis Anymore (feat. Carmen Nickerson) builds off of the rich musical tradition of Carole King and Reba McEntire. The careful guitar playing that is weaved through the track adds further to the narrative; fans will need to play this cut multiple times before hearing every twist and turn that Bohn has placed. God Does Not Turn His Face Away from Me (In the Dark) is an inspiration track that builds a taut back and forth between piano and horns. Bound for Judah is a rare look deep into the spirit and faith of a performer, all while showcasing considerable ability in musical arrangements and composition. The titular track on Bound for Judah refreshes the style of an early George Strait while touching upon the different styles and sounds previously broached on the album. Matchstick Man is a slower and emotionally effective take on the singer-songwriter style of John Fogerty, Dan Fogelberg and Gordon Lightfoot.